Whether you are looking for a unique wedding ring or simply a bold fashion accessory, a tungsten and wood ring is an excellent choice. 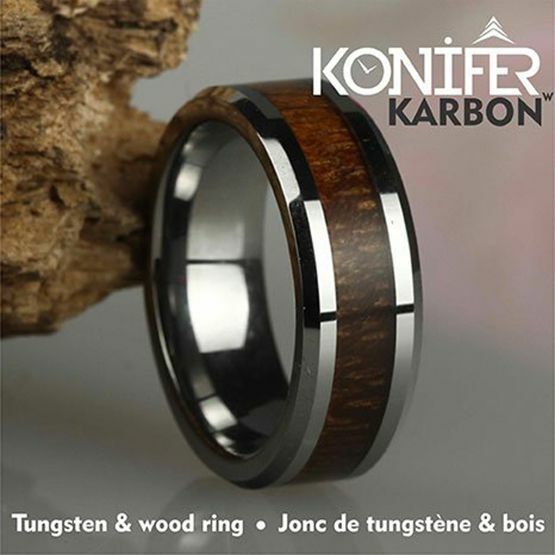 The KT001 Ring from Konifer Karbon is 10 times more durable than gold and waterproof to protect the wood insert. 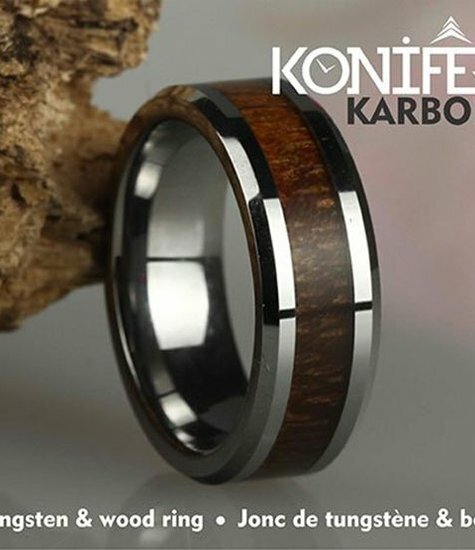 With an outside frame of shiny grey tungsten and a beautiful insert of Hawaiian Koa wood, the KT001 Ring is a completely stunning piece of jewelry. The KT001 Ring has a sleek and modern design. Two bands of tungsten encase a wood insert that is a rich reddish color. The smooth metal is a perfect complement to the unique wood grain and this timeless style is sure to last for decades.